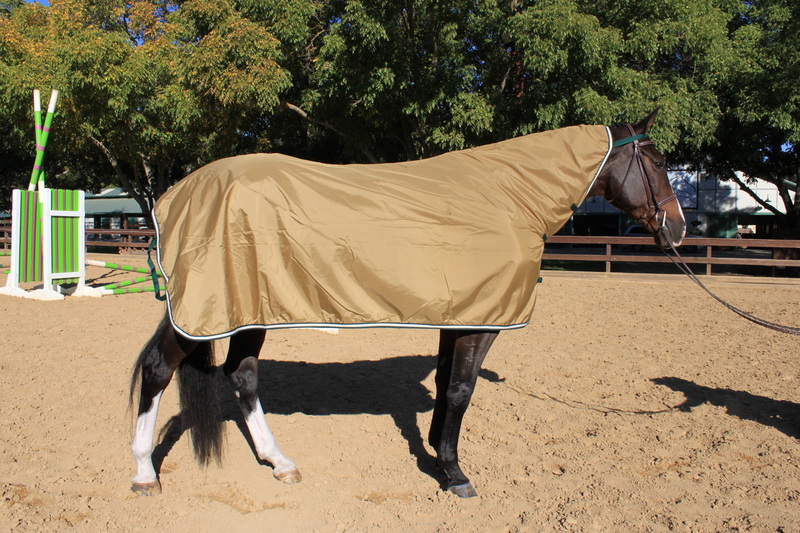 ***All of our custom horse show clothing comes with the necessary features*** You won't find yourself paying extra for add-ons! 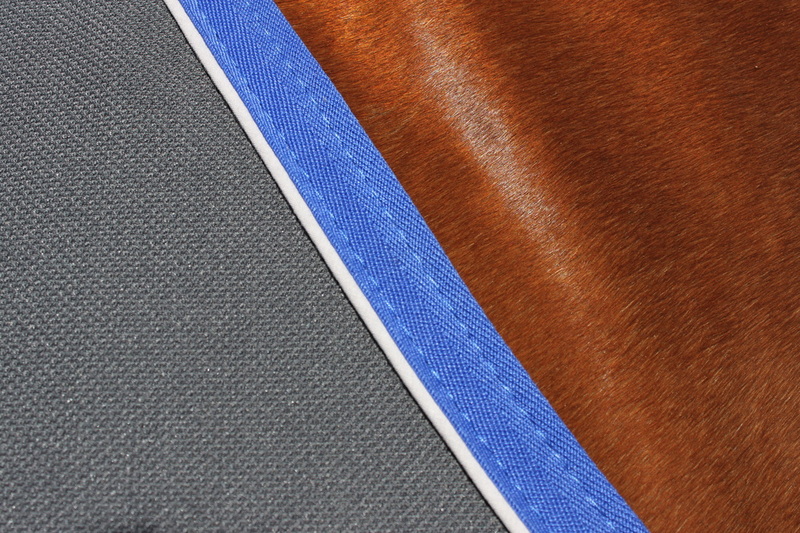 Most of our plaid wools are 100% wool or wool/cashmere blends for a truly beautiful ringside wardrobe. Plaid patterns may vary, but similar color families are always in stock. (Please call for special color needs and patterns). This water repellent sheet constructed of 420 denier nylon with a soft finish, provides excellent protection against the elements. The contoured neck with three reverse lock hook and loop closures make it easy on and off. 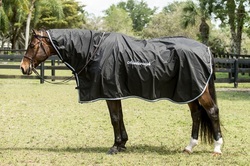 Our ringside rain sheet is roomy enough to keep both horse and tack comfortably dry in inclement weather. The lining is cozy cotton flannel plaid to coordinate with the body color. Standard features include brow band, tail loop and three neck closures. 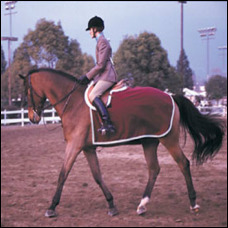 Be sure to order one size up if your rain sheet is to go over your saddle. All items come with name tag on inside of left flap. 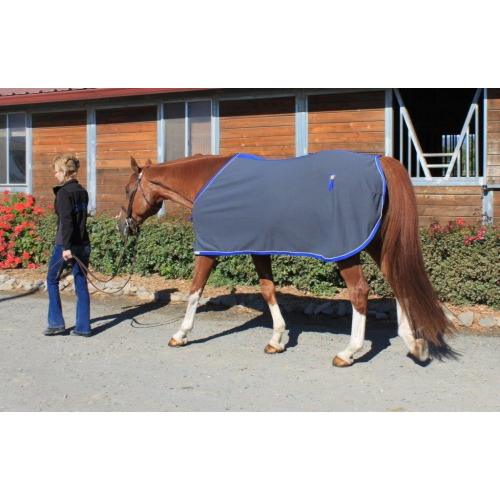 Made from close-weave polyester knit fabric, this super lightweight sheet is the ideal ringside dust catcher for the perfectly groomed mount. Cut to size and trimmed and piping custom colors. Standard features include one sewn on front closure, soft poly trim and a hook and loop flap strip. All items come with name tag on inside of left flap. 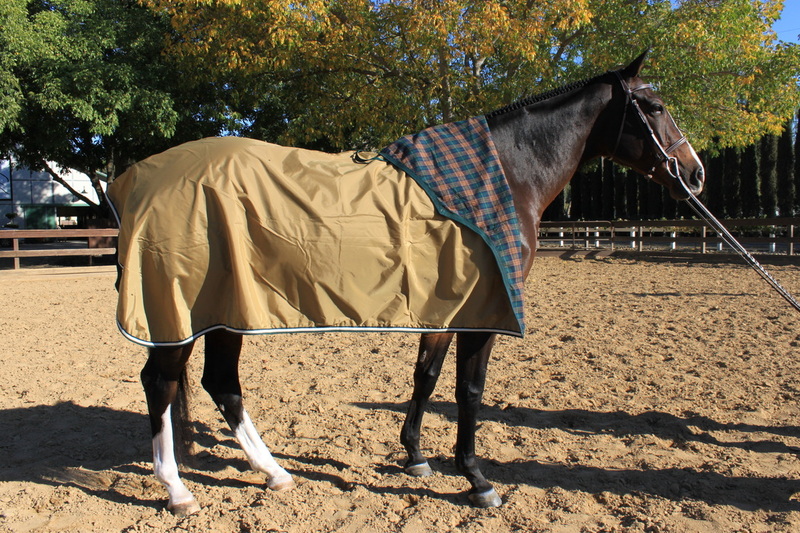 This super cozy cooler is the ideal addition to any show horse wardrobe! The 13oz plush terry velour will help dry your athlete after bathing or work in style. Standard features include one sewn on front closure and hook and loop strip to help keep the front panels from blowing open. All items come with name tag on inside of left flap. 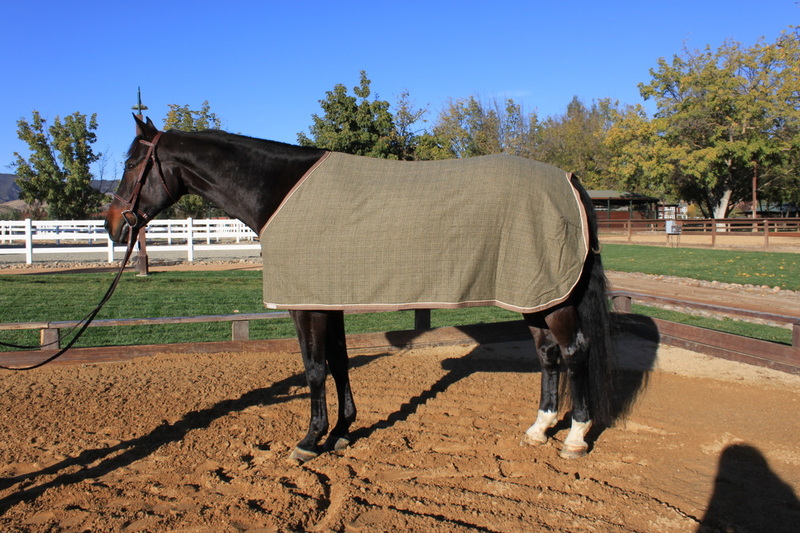 Diamond Knit Wick-N-Dry is designed to wick moisture away, keeping your horse's body cool and comfortable. Fabric will stay soft and bright, even through years of wash and wear. 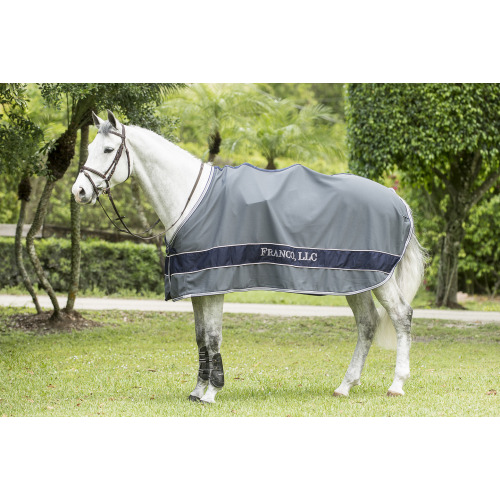 Standard features include a sewn on front closure, soft poly trim and hook and look flap strip. 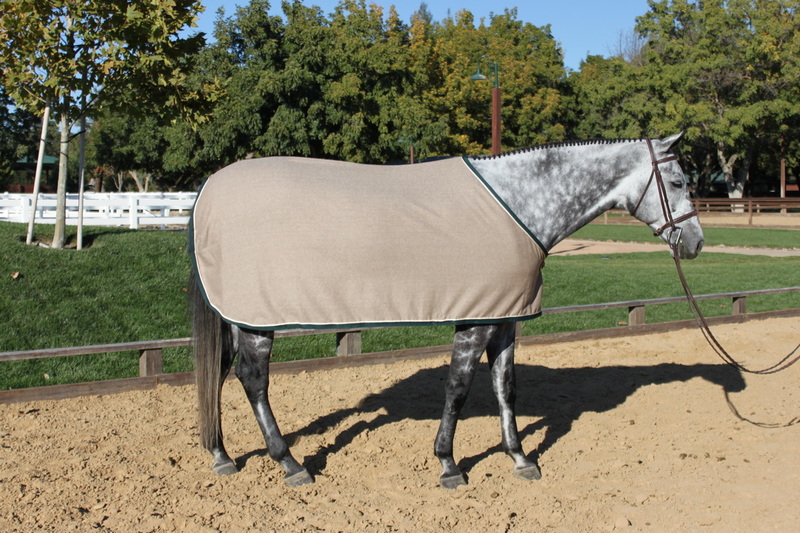 Add a racing stripe and your barn logo to further customize it. All items come with a name tag on inside left flap. 13.5oz non-pill, machine washable polafleece cold weather cooler. 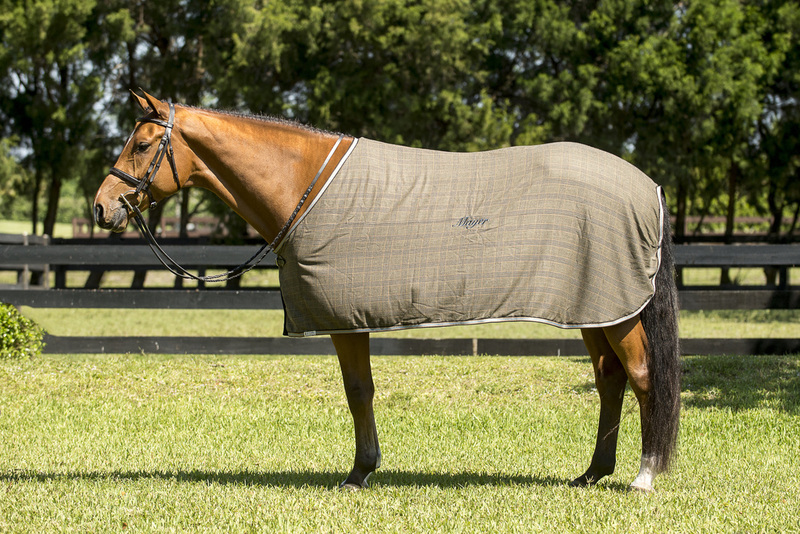 Perfect for home use (or even as a blanket liner). Standard features on this must have item one sewn on front clousre, hook and loop strips at the front to keep panels flat, hidden removable belly strap. All items come with name tag on inside of left flap. 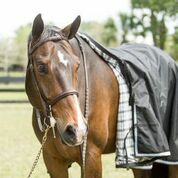 Available in Polarfleece, Wool, Plaid Wool and Nylon. Call today for your custom color Quarter Sheet!